The American Studies Program (ASP) began February 6 with the arrival of 119 students. One of the primary activities that approximately 80% of the students are most interested in doing is participating in the Tomodachi ("friendship") Program. Students want to connect and befriend people in the community and share their cultures with them, as well as learning about American culture. They will be signing up for the program in mid-March and the need for community participants is high. Whether you are young or old, married or single, have children or not, you have something to offer! The students live on the Willamette University campus and they are busy with classes and campus life, so all we ask of program participants is once a month contact with your student(s) on your schedule. It could be for dinner, an athletic event, shopping, movie night, etc. Many of the students say it takes a little of the homesickness away to spend time off campus with you! 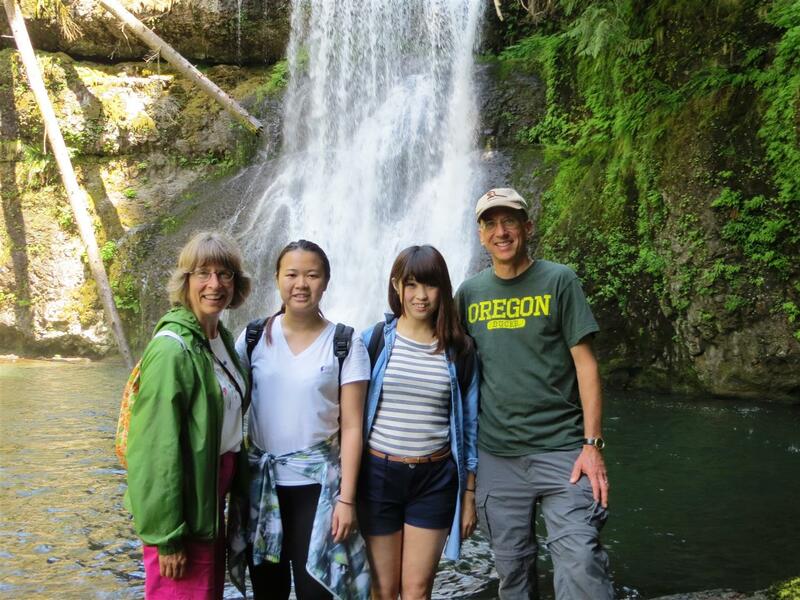 If you would like to spend some time with college students from Japan, want to share American culture and learn about other cultures, have time for a once-a-month get-together, we have the perfect program for you! The Tomodachi "friendship" Program at TIUA is just that -- a chance to become friends with college-age students for part of the time they are here. It is not a homestay program. The program is run during the Spring Semester and again during the Fall Semester. You can choose one or both!